Combining classic styling with the signature extravagance of the Neil Lane Designs collection, this stunning engagement ring boasts a total 1/5 carat of diamonds. Timeless elegance for the modern bride. 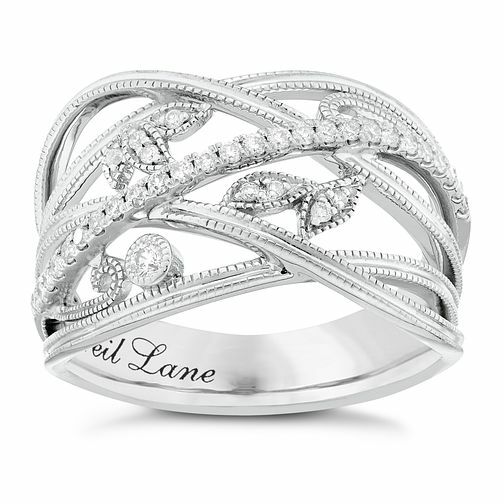 Neil Lane Designs Silver 1/5ct Diamond Leaf Band Ring is rated 5.0 out of 5 by 3. Rated 5 out of 5 by Anonymous from Pretty Ring Liked the idea that this is silver with diamonds as it saves getting it recoated as with white gold. Very pretty design.